It took the senior guard less than a minute to reach the milestone everyone anticipated. Finishing a drive to the basket to draw the foul and making the ensuing free throw, LeVert became the 49th player in Michigan basketball history to reach 1,000 career points just 22 seconds into the game. But as it turned out, LeVert had a more elusive milestone to achieve. With just over two minutes to go in the game with a win over Northern Kentucky well in hand, LeVert found junior forward Mark Donnal below the basket for his 10th assist of the night, drawing the largest cheers of the night. As it turned out, the assist total, combined with LeVert’s 10 rebounds and 13 points gave LeVert his first-ever triple-double, at any level. It was also just the fourth triple-double in school history, as LeVert’s performance put him in company with Darius Morris (2011 v. Iowa), Manny Harris (2009 v. Northern Michigan) and Gary Grant (1987 v. North Carolina) as the only Wolverines to accomplish the feat. Grant, Harris and Morris all played for multiple years in the NBA. “What’s amazing is that Michigan, with those types of guys, it’s an honor to be mentioned with Darius Morris, Manny Harris and Gary Grant,” LeVert said. For Harris, the honor was mutual. During the game, LeVert started out like Beilein, focused more on the win than the stats. But eventually, his teammates caught him up to speed, and did whatever they could to make the possibility a reality. “I think it was more important to my teammates that I get it than me,” LeVert said. “They were out there like, ‘(Caris), get this rebound, get that rebound, and (junior guard Derrick Walton Jr.) was really pushing for me to get in the ball screens and things like that so I could make plays. On March 14, 1987, Michigan traveled to Charlotte to take on top-seeded North Carolina in the second round of the NCAA Tournament. It was no small task, but Gary Grant was up to the challenge. 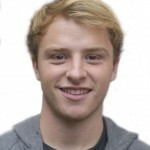 The school’s career leader in assists and steals and fourth in Wolverine lore in career points, Grant was in the midst of a season that would earn him second-team All-American honors. And against the Tar Heels, he looked the part. 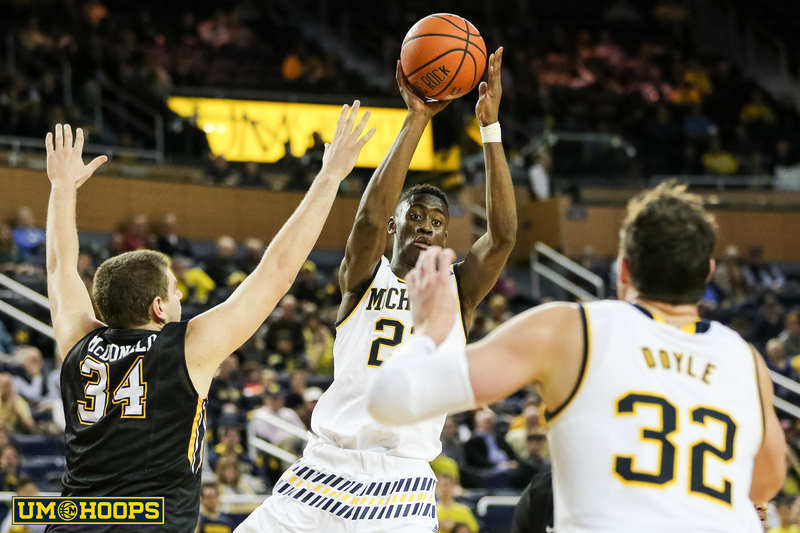 Though the Wolverines lost, 109-97, Grant put on a show, scoring 24 points while adding 10 assists. It was the fourth of his 10-career double-doubles, but his 10 rebounds made him the first player in school history to record a triple-double. Though he never got a triple-double again, Grant would go on to be a consensus All-American and Big Ten Player of the year in 1988, get drafted in the first round and play professional basketball for 12 years. Though Michigan saw three Final Four appearances, one national title and seven All-Americans between 1987 and 2009, no Wolverine recorded another triple-double in that stretch. That all changed on Nov. 14, 2009, when Harris tallied 18 points, 13 rebounds and 10 assists against Northern Michigan to open the 2009-10 season with a 97-50 win. Despite entering the season ranked 15th in the country, the Wolverines would post a disappointing 15-17 record that season. Though it took decades for Michigan to record a triple-double, and 22 years for it to get a second one, the third one came the very next season. Despite a 1-6 start to Big Ten play, the Wolverines were heating up, and rode to coattails of Darius Morris’ 12 point, 10 rebound, 11 assist effort to blow past Iowa, 87-73. With the game, Morris joined Grant and former teammate Harris is Michigan history. “It was special,” Morris said at the time. “I looked up to (Harris) and I still do. The thing he accomplished, that was great. I wondered if I could ever do that and it is definitely a goal as a player. Michigan would win eight of its final 11 games to return to the NCAA Tournament as an ninth-seed, and Morris would join Harris in the NBA later that season.